Did you know that around 10% of men have some form of color blindness? The majority of our clients are men and color blindness is certainly something we have encountered. It can be quite a challenge to design and get critique on creations the client can’t necessarily see! 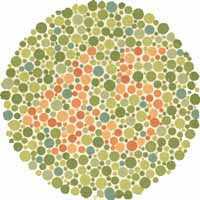 The most common form of color blindness is red/green…Can you see a number in the circle below?